The ISMB16 organizers plan to publish the conference proceedings with an ISBN number. High quality papers will be recommended to International Journal of Applied electromagnetics and mechanics (sci),ACTUOTORS, Fluid Machinery‍. The submitted papers will be published after general peer-review process and accepted paper authors have 50% discount for IJAEM publication fee (200 $/paper) and 30% discount for Actuators publication fee (245 CHF/paper). 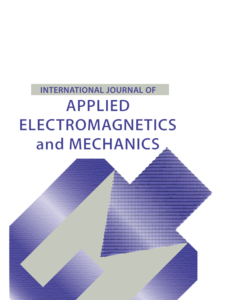 The aim of the journal is to contribute to interscience coupling applied electromagnetics, mechanics and materials. Also it intends to stimulate further development of current technology in industry. The official website is http://www.iospress.nl/journal/international-journal-of-applied-electromagnetics-and-mechanics/).